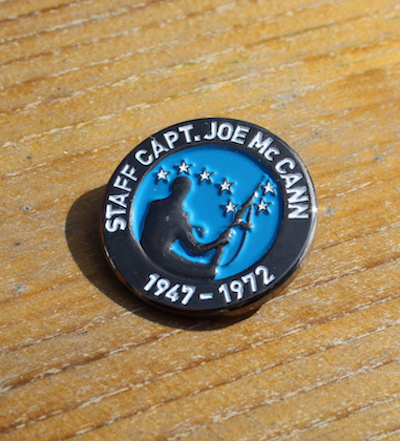 A badge showing the Official IRA's Joe McCann on active service on the night following the introduction of internment without trial. He was photographed holding an M1 carbine, against the background of a burning building and the Starry Plough flag. The text reads "They may kill the revolutionary, but they will never kill the revolution".